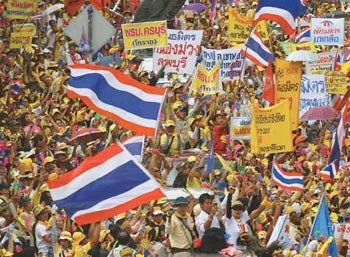 PAD co-leader Maj. Gen. Chamlong Srimuang said the group agreed to move the rally originally scheduled for Dec. 11 to Jan. 25, the Bangkok Post reported. will result in the loss of land to Cambodia. resources to Cambodia,” Chamlong said. Commission, and PAD wants them to be withdrawn from Parliament. A joint House-Senate committee has been set up to examine the boundary commission memorandums, the report said.